Sichuan: Dêgê Xian. Road (highway 317) from Dêgê to Manigange on W side of Chola Pass over Que'er Shan. Slopes above upper Serqu He (Serqu River) with Salix and Rhododendron and rocky intervening areas. Granite bedrock. 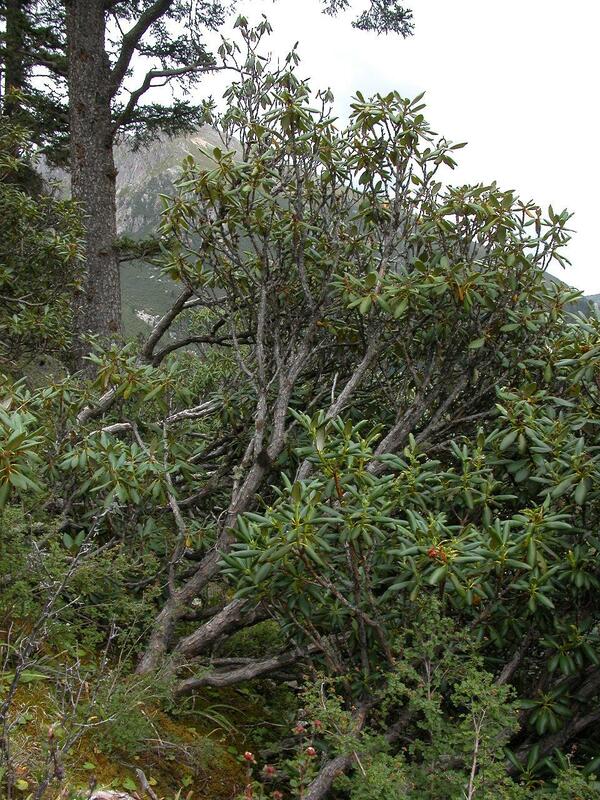 31°57'11"N, 98°54'13"E; 4310 m.
Dominant shrub, to 3 m tall; leaves abaxially white, adaxially dark green; capsules green, tinged red.